The parish of Myshall is very proud to have among its inhabitants a man who is known the length and breadth of Ireland as a writer, storyteller and recitation artist. Jim is one of those individuals who was always involved in local community activities and was a member of Myshall Drama Group from its inception. With the introduction of the Scór competition, the non-playing section of the G.A.A. Jim really came into his own acting in small sketches and saying recitations. 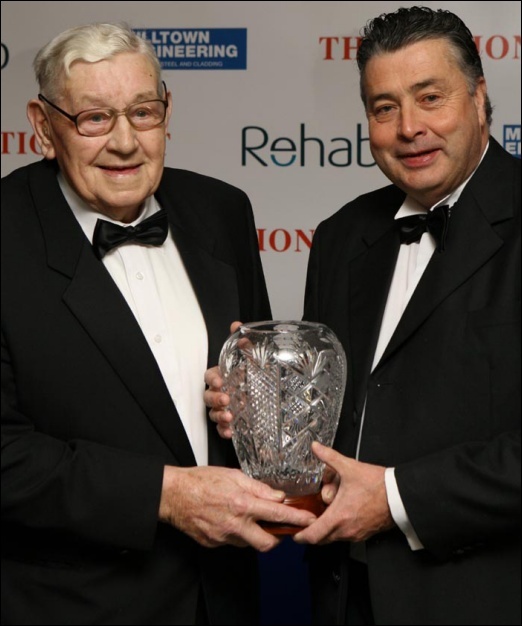 He has a number of Leinster titles to his name for these recitations and sketches and reached the All-Ireland Finals on numerous occasions though the top prize eluded him. However in 1986 Jim won the inaugural R.T.É. Live at Three National Entertainer of the Year competition. A farmer by profession Jim values his local community, his surroundings and of course the country life he experiences in Myshall and as he was always interested in verse he started making up his own recitations inspired by this local area and its local people. His poems are based on real places and real people – ‘Murphy’s Old bull’, ‘Fogarty’s Thrashin’, ‘Patsy Murphy Goes To Heaven’, The Farmer’s Retirement’, ‘Sounds That Are Gone’, ‘The Snow Of ’47’ are but some of the memories recorded by Jim. Every event locally is usually marked by a few words in verse from the maestro e.g. poems were composed for the retirement of the local Parish Priest Fr. Hayden and the local postmaster Paddy Nichols. On the night when Myshall welcomed the millennium to Myshall Jim was in full flow on the stroke of midnight in the middle of the festivities on the open-air stage and had to stop to allow the bells to toll and the clock to strike. 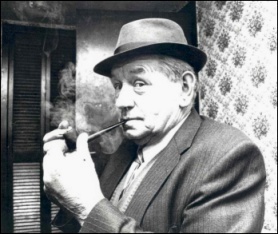 Immediately after the bustle of 12 o’clock Jim resumed with the following remark: “I may be the only man in Ireland tonight who had to start a job in one century and end it in another!”. He played a prominent part in the Street Theatre organised in the street in Myshall to commemorate 1798 locally. 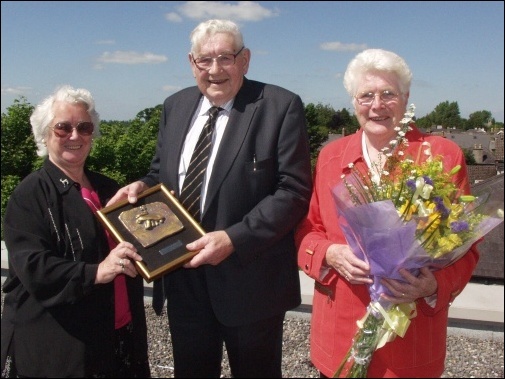 During the Carlow Éigse Festival of 2005 Carlow County Council organised a tribute to Jim, a man who has contributed greatly not only to our community but to the whole county of Carlow. The event was organised by John McDarby of Carlow County Council and took place in the Carlow County Chambers. All of Jim's family including Mary who travelled from New York and many of his friends were present. A presentation of a Bev Carbery ceramic plaque, created specially for the event, was made to Jim on behalf of Carlow Tourism as a tribute to his efforts for the spoken arts in County Carlow and beyond over many years. The evening commenced with a PowerPoint presentation of Jim's life story since he was born in 1922.